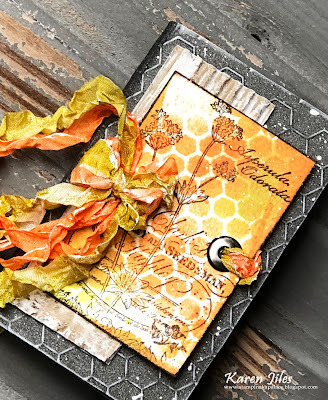 It’s Karen, sharing this Mixed Media Journal created with the “Honeycomb” Embossing Folder, Honeycomb Project Die, Cut N Boss machine and the Snap machine. I really enjoyed creating this journal. It has loads of visual and physical texture created with the Honeycomb embossing folder and project die. 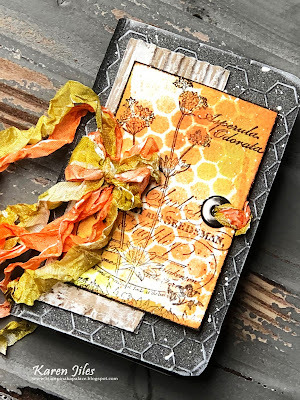 I used a sanding bar to expose the embossed impressions of the honeycomb pattern in the folder and the honeycomb project die was perfect to create a stencil with. Take a look at how this project came together in the tutorial below. Step 1: Place full sheet of cardstock into the “Honeycomb” embossing folder. Close the folder and insert into the Cut N Boss machine by Craftwell. Step 2: Remove the embossed cardstock from the Cut N Boss and the embossing folder and trim it down to the size of journal. Step 3: Adhere cardstock to blank journal and sand the embossed cardstock with sanding bar to expose the whitecore-creating a distressed effect. Set journal aside. Step 4: Run Honeycomb die through the Snap machine with watercolor paper. Step 5: Release the watercolor paper honeycomb die cut from the die. Step 6: Place the honeycomb die cut on a layering piece of watercolor paper and spray mists onto the die cut paper transferring the honeycomb pattern to the watercolor paper. Let dry. Step 7: Using black ink, stamp image onto inked patterned watercolor paper. Step 8: Using Cropadile, punch holes in stamped watercolor paper. Adhere gessoed corrugated board and eyelet. Step 9: Adhere stamped watercolor paper and corrugated board layer to the front of the distressed journal cover. Add dyed ribbon to the eyelet and stamped watercolor paper. Step 10: Apply gesso to edges of ribbon. Tap gesso over journal with a paintbrush. Continue embellishing as desired. 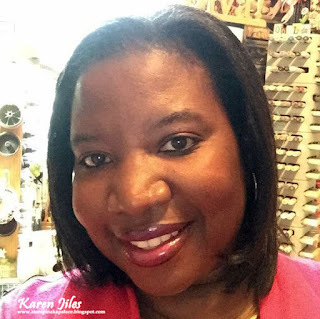 Thanks so much for stopping by today and I hope that this Mixed Media Journal has inspired you!